With so many books about nutrition and healthy eating out on the shelves, it can get very confusing to know which to choose! 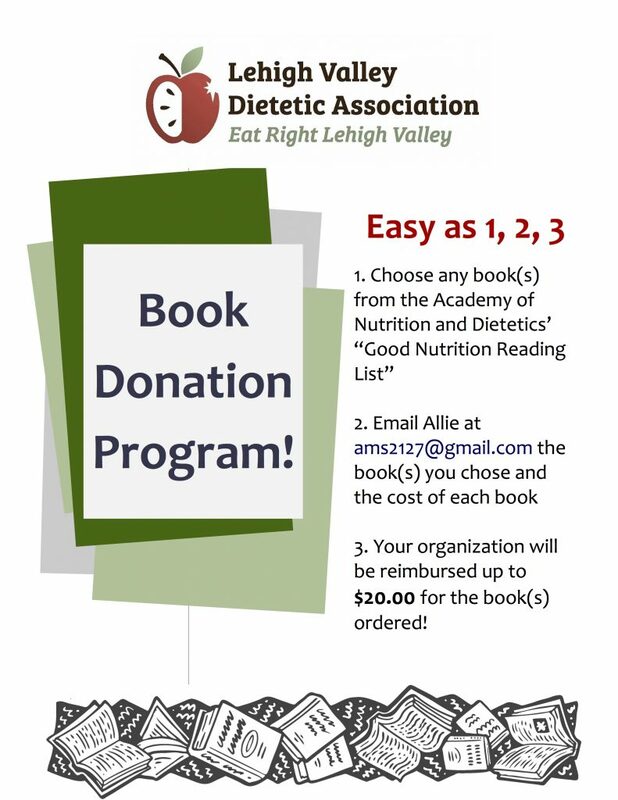 LVDA is helping put reliable nutrition information at the hands of the public with our book donation program. If you are interested in learning more about the book donation program check out the flyer! And share with any public library in our six-county area including Berks, Carbon, Lehigh, Monroe, Northampton and Schuylkill Counties.